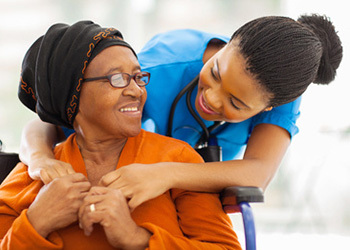 At each of our facilities, our highly skilled nurses provide the best quality care. Their skills are only half the picture. Each nurse is a gentle and caring person, with genuine concern for each resident. Our nurses work with the residents family to create a comfortable environment at each of our locations that provide simple routines and visual cues as a positive substitute for diminishing mental processes. Each of our centers strives to maximize the quality of life for our long-term care population, who require a specialized restorative program. Of course, this service is included in the room and board fee. Our dietary program is designed to meet the dietary and physician-ordered needs of each resident in our care at each of our center locations.